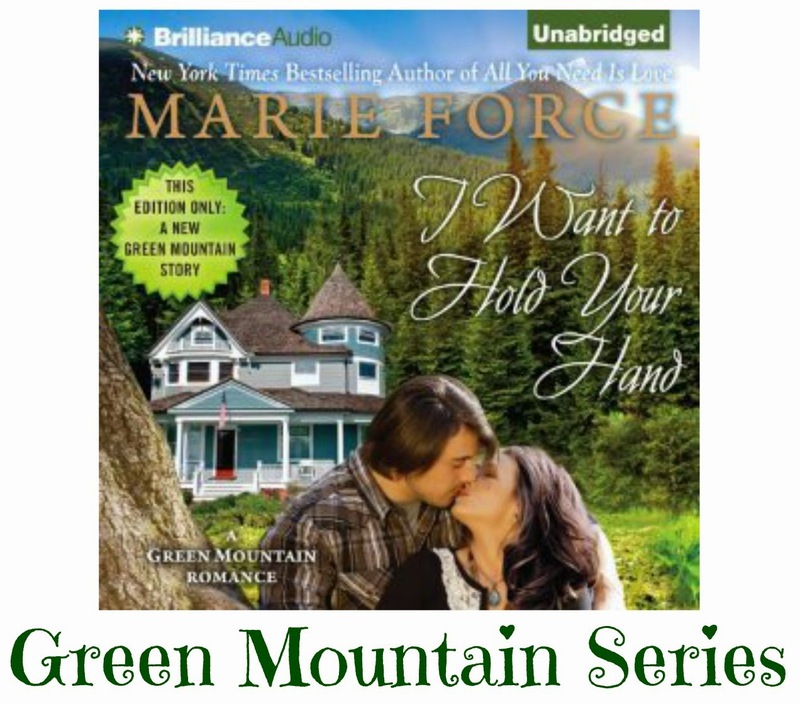 Green and Glassie: The Green Mountain series by Marie Force. The Green Mountain series by Marie Force. I just finished reading a excellent romance series. The Green Mountain series by Marie Force. It was a fun series about a family that lives in northern Vermont. They own and operate the Green Mountain Store in the small city of Bulter, VT. The stories are focused on the Abbott family. Their strong family ties and the loves of the grown children. There are 10 children in the family so I am hoping that each grown child will have a novel focused about them. The stories are easy to read and the books are full of mad passionate love. There is a special character in her Green Mountain books - his name is Fred! You have got to check out the antics of Fred! I fell in love with Marie Force's novels when I read Maid for Love. That one book got me hooked on the McCarthy family. After reading all of the books in the series - I am eagerly waiting the newest book that is planned to be published this summer. The McCarthy's of Gansett Island got me through this long January & February! Marie Force writes about characters that I personally would love to have as friends. They all have strong family ties, morals, and a passion for wanting love and happiness. They are real people with ups and downs - life throws them some serious issues and they survive. Well I am off to read the first series she wrote The Treading Water series. Have you ever read any of Marie Force's books? These sound like wonderful books. I love a good romance novel. Thanks for sharing these! Thanks for sharing these books! I'm a big fan of romance novels. It's not really about the physical aspect - we all know that can be a bit cheesy. It's about the emotional connection the characters form. It's just nice to read books like this for me. It makes it so much easier for me to get immersed in a book when I can relate to their characters. This sounds like a series that would be a good fit for me. I am embarrassed to say that I've never read any romance novels. I love your recommendations and will add these to my reading list. I haven't. I don't read romance novels. I'm living a real life romance with my husband and that's enough for me to manage. I'm glad you enjoyed the books. This sounds like a great series! I will have to check it out! I have been looking for a new series to read! I will add this to my list! Ok these are for beach week this summer, I need escapes for sure. Those look real steamy and romantic! What a nice series! Sounds like a perfect series my mom would be into. Thanks! I've never read any of her books. They sound great though, she's going on my reading. Ha! I have friends named the Abbott's! It's not a common name, so she would get a huge kick out of this! This makes me feel like a tween collecting the babysitter club series, but for grownups. I love reading series that pull you in and make you want to read more. I'll have to check Marie Force out. I have always loved a good book series. This sounds like one I'd like to check out. I still remember the impact on me of the Anne of Green Gables book series. I have never read any of this series. Looks great for the summer. I am usually not much of a romance reader but these series look great. I love novels with a good story line as well as excitement! I am definitely a romance reader. Too many of them don't have good story lines though so I'm excited to read these. Mother's Day is coming, and my mom is a huge romance novel fan! Thanks for the gift idea. I know someone who loves romance stories. This is great for her. Thanks for the lovely mention of my books/series! Appreciate that. So glad you're enjoying them! How fun. I don't think I have read a series based in Vermont yet. Might have to check this one out when I start clearing off some of my other reads. These looks like some great books! I haven't read a good romance in years. I need new books to read I will check them out! Sounds like you really enjoyed these books! I love a read you just can't put down! Sounds just awesome. Love all the covers also. Happy for you that found a book series that you like. The titles are very intriguing! I need to know more! Thanks for sharing these. OK can anyone recommend a romance series as good as Green Mountain. Such relatable characters!